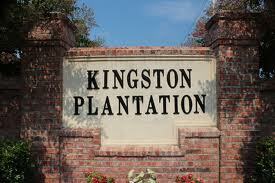 Kingston Plantation is a beautiful gated community in the North Bossier/Benton area. It offers luxury homes built in the 2000’s of many different architectural styles. The estates here have large, landscaped yards and elegant architectural features, with homes sizes ranging from modest to opulent. Located on Kingston Road in North Bossier, which runs between Benton Rd. and Airline Dr., Kingston Plantation is perfect for homeowners who seek luxury suburban living just outside of town, but still desire reasonable access to the city and all it has to offer. I-220 is a very short drive away connecting Haughton and the Harrah’s Casino Racetrack with North Shreveport, Cross Lake and I-20. The shopping on both Airline Dr. and Benton Rd. is abundant and varied. The Louisiana Boardwalk is minutes away as well, and North Bossier is homes to some of the best restaurants in the area. The Schools in North Bossier and Benton and top notch as well, and Willis Knighton Bossier Medical Center is a quick drive away. If you desire a luxurious neighborhood in a pastoral setting, out of town, but still close enough for convenience, then look into Kingston Plantation north of Bossier City.